Fingers crossed for an official take on Leviathan/Outsider. Along the lines of HP Lovecraft designing Dungeon Keeper? Thing is, while there's a lot of opportunity to really do what you want in World of Darkness, often the game places you in a reactionary position. The Prince does this, you react. There's a big bad in town, you react. I'm a storyteller more than a player, and when I play there's all manner of things I'd like to do, but it would be difficult to get into without derailing the story. So I've been thinking for a while it would be a nice to have a game where the players were, essentially, the movers and shakers. My original idea for it was organizations, from cults to neighborhood watches (though at higher tiers you'd be conspiracies and religions and militias) and you have a goal, involving changing something in the world. It would be the storyteller's duty to set up reasonable and challenging obstacles. Based on the tiny blurb it seems more like playing the dragon or Gendel that the knight / Beowulf fights. Boy I hope so. A line that really embraces WoDs 'you are the monster' niche would be stellar. Dave Brookshaw posted on another site, "But yeah - Firestorm Chronicle, Huntsmen Chronicle and Beast: The Primordial are in the release schedule on the fliers we've been handing out. "Within every one of us lies the potential of the Beast. Unleash savage powers, answer the call to your Lair, and become the thing that Heroes fear. Onyx Path's new nWoD game line for 2015. 320 pages. PDF/PoD/Prestige Edition."" Firestorm is Promethean, Huntsmen is Changeling. 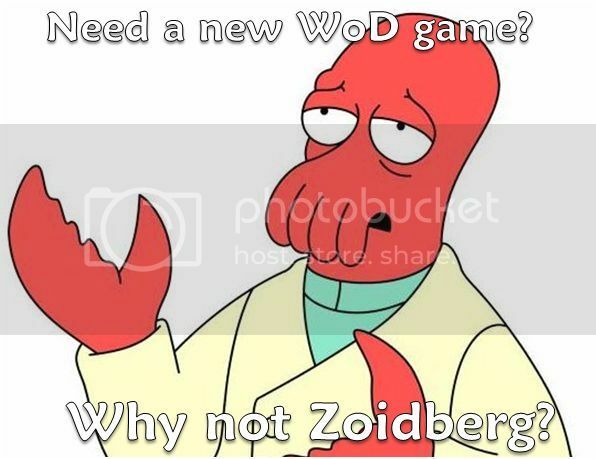 We'll get more spoilers after the nWoD talk, I think tomorrow. Hush. Let me remain deluded and thinks that "Heroes" is their official word for Ahabs. Excuse me, I have to go lie down. Yeah I thought it was Hunter at first but he clarified, 2015 is the year of Promethean and Changeling. I imagine (purely based on the name) they're going to emphasize things like privateers and loyalists, amp up the riskiness of being a changeling, since it was something people often glossed over. Plus, you know, rules fixes. I'm hoping they keep the concept of Promethean tight while making it more inviting. I'm astounded people would be surprised Promethean and Changeling are next on the Chronicle front. Seriously, what did you people think was going to happen? I still have not gotten what I asked for, so let me be even more blunt: Can someone give me a link to where Dave said this? I'm less surprised than I am...relieved? I guess I was just never sure if they would make Chronicle books until after more sales numbers had come back.